Patios are considered to be places of relaxation and festivity, and it's not hard to imagine why when sitting on one. Combining the relaxed social aspect found indoors with the beauty of the outside world allows people to feel comfortable without being confined inside, out of doors while still being accommodated and comfortable. 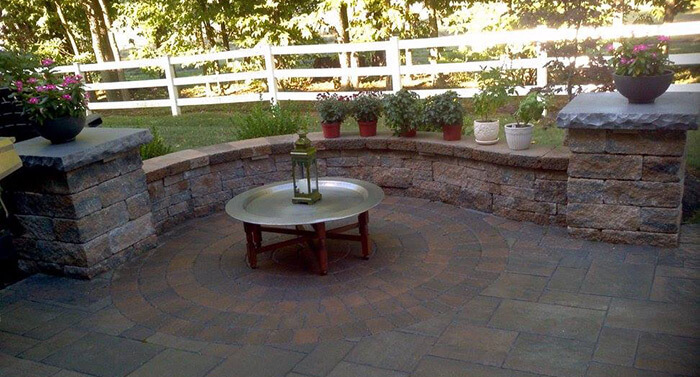 We at Mill Stream Landscapes hold this location close to our hearts, and we specialize in transforming the patios in Lancaster and Chester County, PA into the relaxation pads of our clients' dreams. The design and style of our patios are dictated not only by the individual client, but also by the style of the house from which it will extend. Our designs will be tailored to your and your homes' needs as we consider the materials, shapes, and features you want to see and use. From a simple front porch of elegant, timeless stone to a massive party deck with room for multiple patio furniture sets, we will find the right design for you. If you're looking for more elaborate equipment to give your patio more functionality, we can select the perfect outdoor kitchen appliances to match your style and needs. Perhaps an oversized grill is necessary to feed all your guests, or maybe a full bar with refrigeration units would serve your partygoers best. Whatever the case may be, Mill Stream Landscapes is sure to find the right equipment and have it installed and in working order for you and your family to enjoy. We also offer outdoor, low-voltage lighting systems to make sure you can keep the party going past sundown! With our maintenance services available for all our patios and their equipment, your satisfaction is guaranteed. 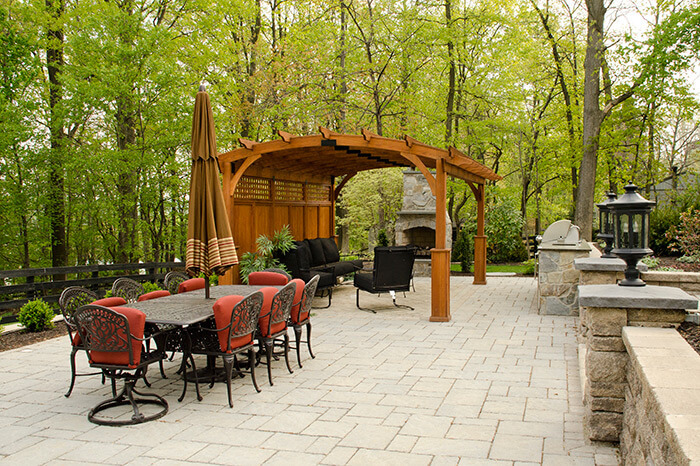 Contact us today to find out more about dream patios we've created in the past, and what we can do for you!